« Ever tried goji berries? If you are looking to magically enhance your health and help ward off disease, try the juicing craze. Fresh juices are wonderful for your health. But in this magic bullet is a very scary fact, which is that most fresh juices that you buy in the store are astronomically loaded with sugars. You are doing more harm than good drinking sugar laden smoothies. 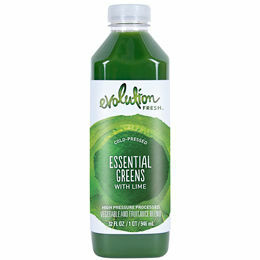 One brand to try are the Evolution Essential Greens, if you check the calories and sugar content you can find a few of these packed with vegetables but low in the sugar and calories. Always read the labels when buying fresh juices at the supermarket. Do not buy the ones that give you a sugar overdose! Also, check the dates and make sure you get the freshest. If you are lazy with your vegetables, home juicing or buying fresh juices that are low in sugar and calories, can get you some of the super foods you may not otherwise get. Most people manage to get at least some fruit but if you aren’t a vegetable fan you are getting no vegetables at all. Since vegetables protect you against so many ailments by helping to keep your body full of valuable nutrients, you do not want to neglect your veggies. Just make sure you aren’t mainlining sugar at the same time! Posted on September 14, 2015 by admin. This entry was posted in Super Foods. Bookmark the permalink.